I love wreaths and sometimes I make them even when I don’t need them. 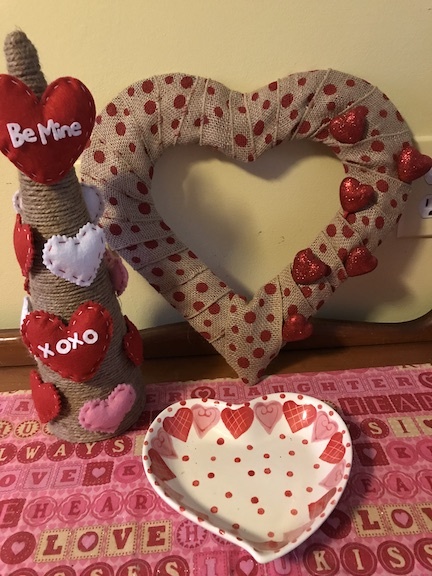 At the Dollar Tree I found this heart shaped wire wreath and I had to have it. 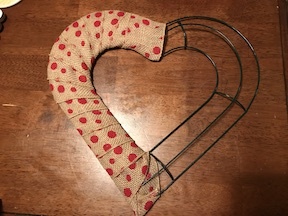 I wanted to do something a little different so I created a Polka Dot Heart Burlap Wreath. This wreath is super easy to make and you only need a few supplies. 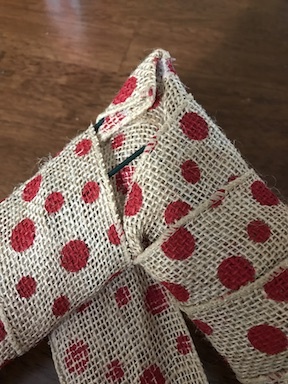 Start at the bottom of the heart and fold the polka dot ribbon and hot glue it in place. 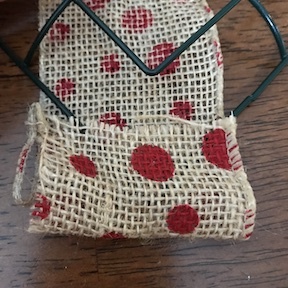 I found the polka dot burlap ribbon at Hobby Lobby. 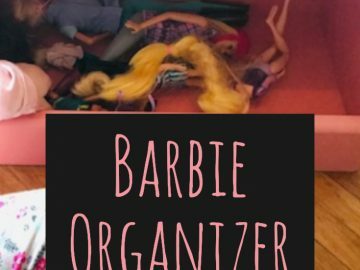 It was in the regular ribbon section and it was 50% off. 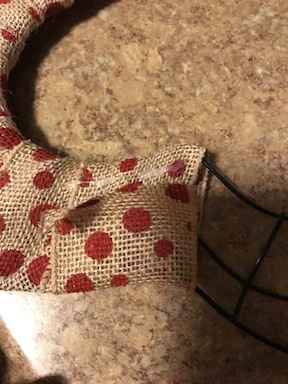 Then fold up the sides and hot glue them. 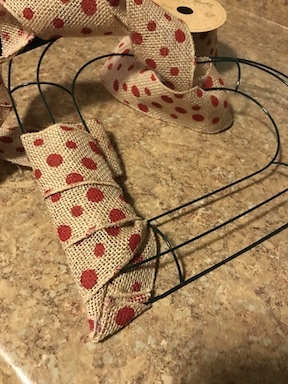 The next step is super easy, just wrap the ribbon around the heart wire wreath. 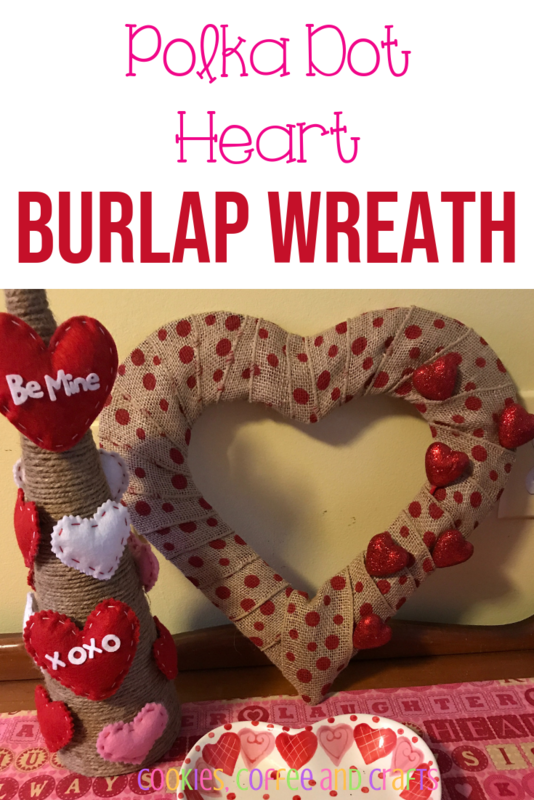 When you get the top of the heart, cut the ribbon and hot glue it to the back of the wreath. This is what your lovely wreath looks like half done. 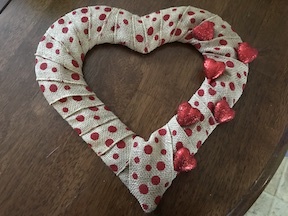 Then start at the top and overlap the ribbon and start wrapping it again until you get the bottom of the heart. 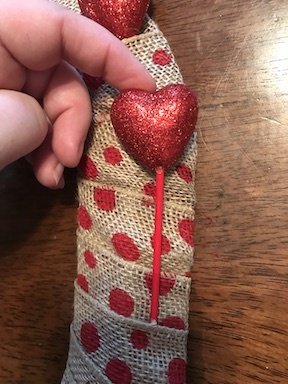 At the bottom of the heart, wrap the ribbon and hot glue the ribbon to the back of the heart. I felt like the wreath was missing something, but I wasn’t sure what it was. 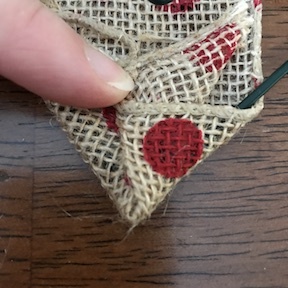 Then I was cleaning out some extra Valentine’s Day supplies and found these heart picks. They were perfect. 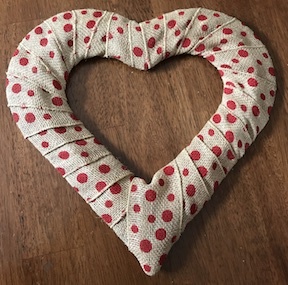 On your Polka Dot Heart Burlap Wreath, just push the heart picks between the wrapped ribbon. It was the perfect touch to the wreath to add that finishing touch.